Lets face it. Come this Sunday, we will all be on the edge of our seats awaiting the outcome of the season finale of the HBO hit series, Game of Thrones. The reality is, most of us will likely need a drink for this. 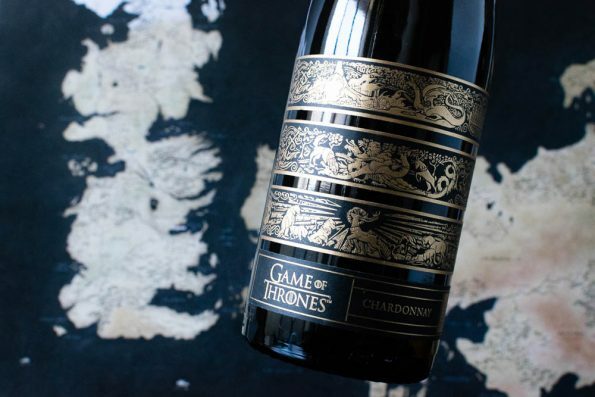 Well, we have the solution, Game of Thrones Wine. We happened to be fortunate enough to receive some samples to review for our readers and we wanted to share our thoughts. The Game of Thrones Wine is produced by Wine Maker Bob Cabral. Bob Cabral has been involved in the wine world since his childhood. A fourth generation farmer and grape grower, he took all he learned at the family farm and applied it to his degrees at Fresno State University. As a fan of Game of Thrones, Bob accepted the challenge of creating wines that match the strength of the characters and the terrain of their kingdoms. Bob’s meticulousness and patience has yielded wine that embody the spirit of the show. Despite the fact he has made wine professionally for over 30 years, Bob believes he has not made his best wine yet. This is coming from someone who planted and produced the first 100-point California Pinot Noir from the Williams Selyem Estate Vineyard, where he worked for over 16 years, and has crafted more than 100 wines ranked in the 95 to 100 point category. In 2011, he was honored with the Wine Star Award from the Wine Enthusiast Magazine as Winemaker of the Year. Red Wine Blend- The Red Wine Blend is a blend of six red varietals; predominately Petite Sirah and Zinfandel. Flavor notes include: dark bing cherry, mulberry, vanilla and mocha aromas. Soft, juicy black fruit combines with chewy tannins to provide a full, rich palate. As you might expect from the description, this wine is very fruit foward. If you are seeking a more spicy or oaky wine, this may not be the right choice. It is, however, a great lighter red and definitely a good red for someone who is just getting into wine. Chardonnay- The Charddonay is comprised of 90% Chardonnay grapes and 10% Riesling. Flavor notes include: aromas of stone fruit and white blossoms which lead to a rich, creamy palate of peaches, apricots, tangerine, Meyer lemon, baking spices and honey, balanced by mouth-watering acidity. A touch of oak on the lingering finish. To be honest, this wine surprised us a bit. It doesn’t feel like a traditional Charddonay, which isn’t necessarily a bad thing. The flavors we noticed the most were the stone fruits. If you aren’t a fan of an overly oaky Chardonnay, this wine is for you. 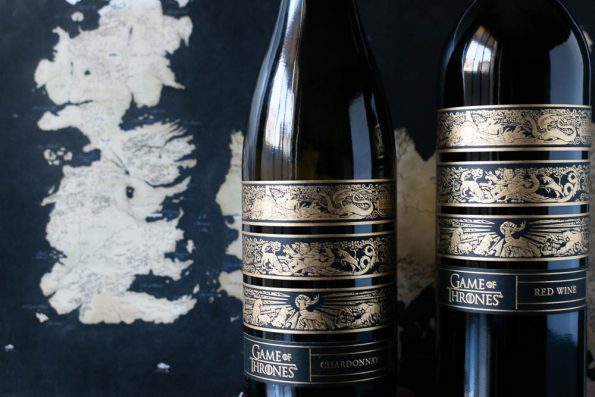 We hope you get a chance to try out the Game of Thrones Wines! They are perfect for your Game of Thrones Series Finale Party! We’d love to hear your finale plans, leave a comment below with your party ideas or tag us in your party photos! *The Geeks received samples of Game of Thrones Wine for review; All opinions are wholly our own. View our Disclosure Policy for more info.